NEW. 9781138429925 This listing is a new book, a title currently in-print which we order directly and immediately from the publisher. For all enquiries, please contact Herb Tandree Philosophy Books directly-customer service is our primary goal. Very Good. Describes the history of radar in the second World War. 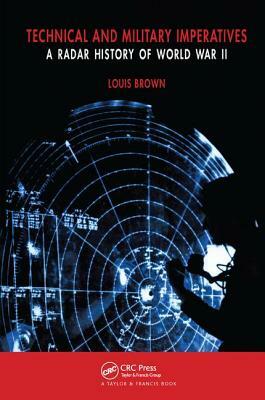 This book covers ground, air, and sea operations in various theaters of World War II. It discusses the development and use of radar by Germany, Japan, Russia, and Great British. 580 p. Intended for professional and scholarly audience. Near Fine in Near Fine jacket. Nice copy. NEW. 9780750306591 This listing is a new book, a title currently in-print which we order directly and immediately from the publisher. For all enquiries, please contact Herb Tandree Philosophy Books directly-customer service is our primary goal.